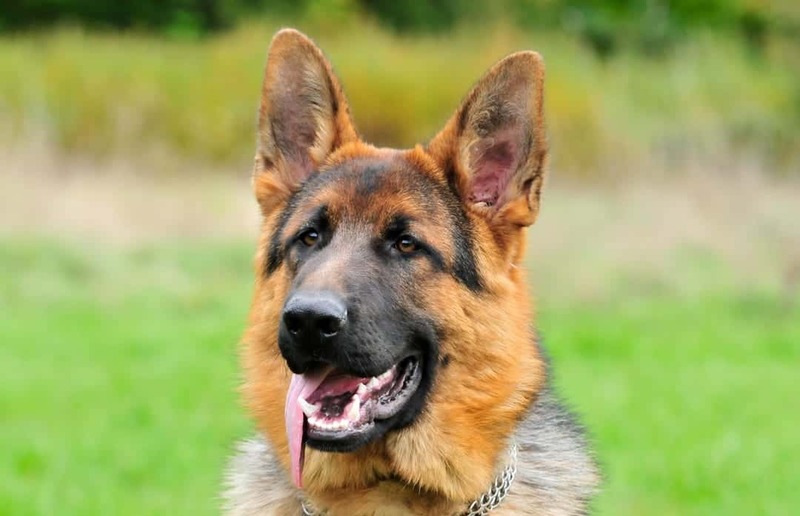 The German Shepherd dog comes in a variety of colors. The breed standard calls for nice dark pigment and rich colors. 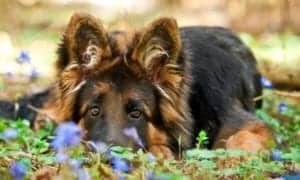 In some breeds, certain colors are connected to specific health issues, but this is not the case within the German Shepherd Dog breed. 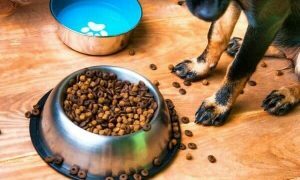 Rumors that white, blue and liver dogs will have a higher occurrence of health problems are unfounded and based on misconceptions and incorrect information. These Shepherds are no more likely to have health problems than any other color Shepherd. 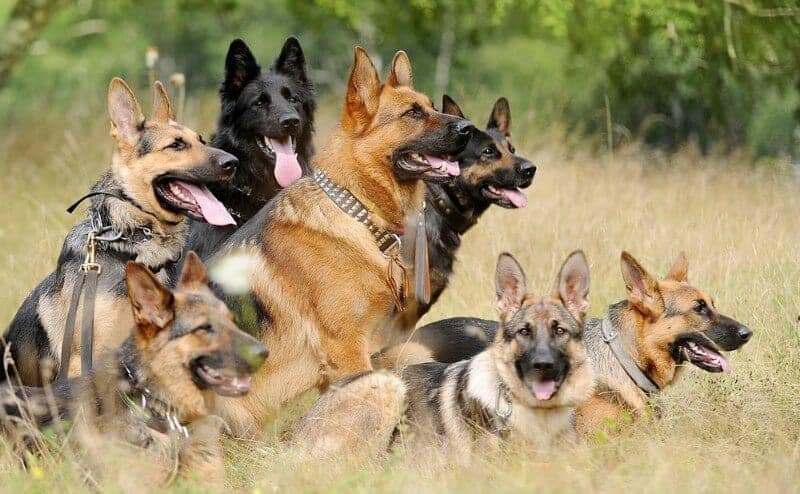 Let’s take a look at the many colors of the German Shepherd Dog. 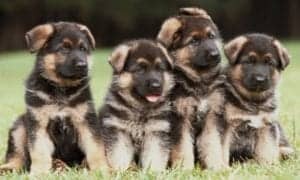 The black and tan is the most common color in the breed and what the average person envisions when they think of the German Shepherd breed. There are many color variations within the black and tan color. The tan color can vary from a deep rich red to a light pale silver color. The pattern of black can range from a saddleback to blanket back. A Saddleback is just what it sounds like: the black color looks like a saddle over the dogs back and sides. A blanket back is darker in color, and the black covers more of the dog’s back and sides. Some black and tan dogs have very little black covering their backs. Black and tan is recessive to the most dominant sable gene, but it is dominant over the solid black recessive gene. Black and tan dogs are generally born darker and lighten up as they mature. The black will recede, and the tan will become more prominent. West German show lines are commonly black and red. Black and tans and bicolors are found more in the various working lines. 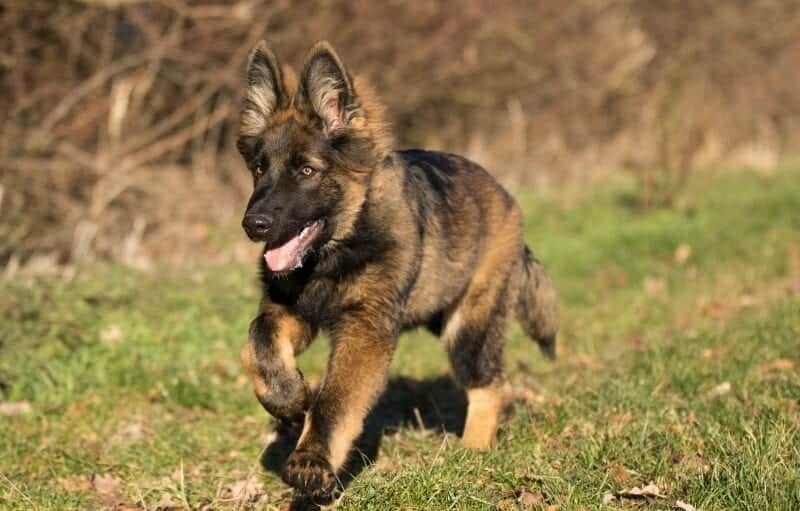 The most dominant color in the German Shepherd breed is a sable color. 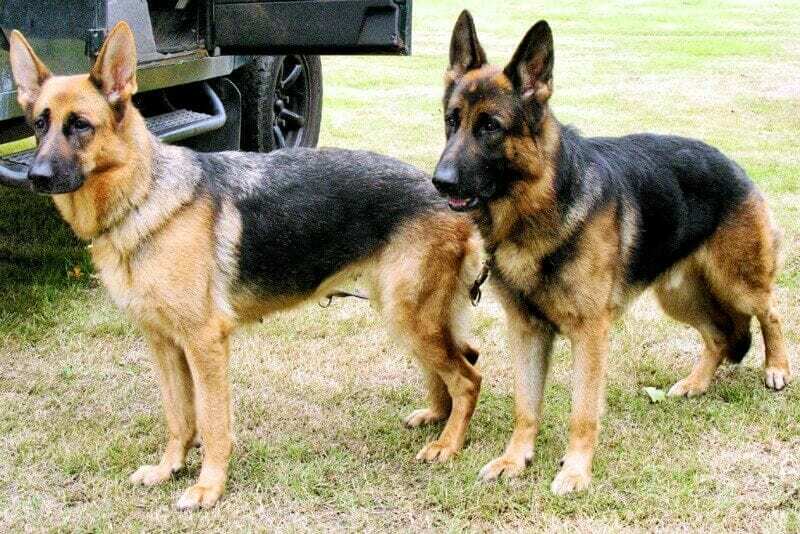 Most people are not familiar with a sable German Shepherd; they are used to seeing the typical black and tan variety. Sable dogs often have a color pattern that looks similar to a gray wolf. If you examine a single hair from a sable dog, you will commonly see two or three different colors on the strand of hair. Sable dogs can range in color from a very light gray or tan to a darker, richer red or gray color to a dark brown or black color. All shades of sable are acceptable, but the dark pigment is preferred. Lighter sables lack pigment, causing them to be washed out. A dog must have a sable gene to be a sable. Therefore there must be at least one sable parent to produce a sable puppy. 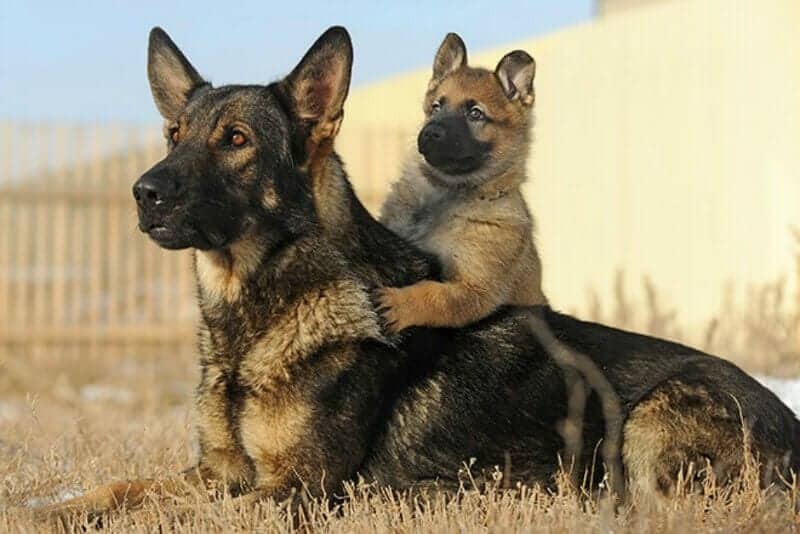 A dog cannot carry the sable gene recessively, which means that two black and tan dogs bred together will never produce a sable puppy. A homogeneous sable, also called a dominant sable, is a dog that received one sable gene from both of his parents. This means that he carries nothing but sable genes and will only produce sable puppies no matter what female he is bred to. 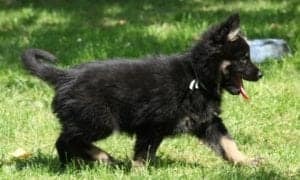 When a sable puppy is born from two sable parents, this does not automatically make the puppy a “dominant sable.” This is because the pup could have received the parent’s recessive gene rather than their sable gene. 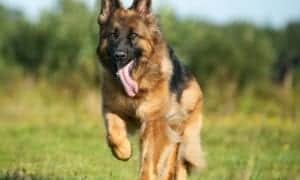 Sable German Shepherds have been around since the very beginning of the breed, and the very first registered German Shepherd Dog was sable in color. The sable color is not very common in the German show lines. They do not generally do well in the SV style show ring. Sable dogs are very common in working lines. 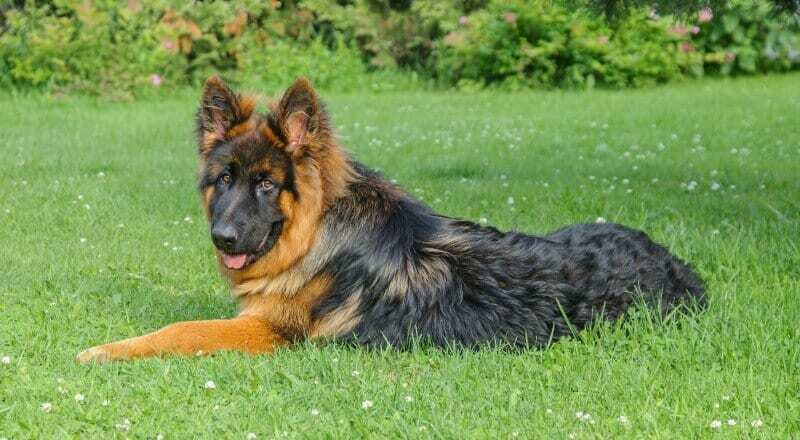 Bicolor shepherds are considered a variation of the black and tan. The dog’s entire body is black except for a few areas of brown or tan, usually on the feet, under the tail, in the eyebrows, and sometimes there is a small spot on the cheeks. Darker black and tans are often advertised incorrectly as bicolor, but a true bicolor is very dark with very little color on the body at all. The only way to identify a puppy at birth as a bicolor versus a black is to look for a little bit of brown under their tail. In some circles there a debate whether bicolor is an actual color or simply a pattern. 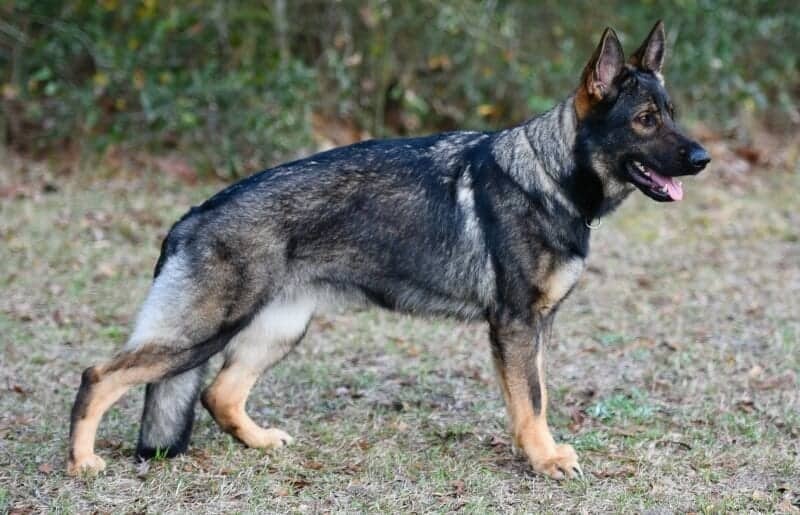 Regardless, it’s known that bicolor is recessive to the typical black and tan patterns such as a saddle back or blanket back, and bicolor dogs will carry another bicolor gene or black gene recessively. Bicolor is the most recessive acceptable color other than solid black. 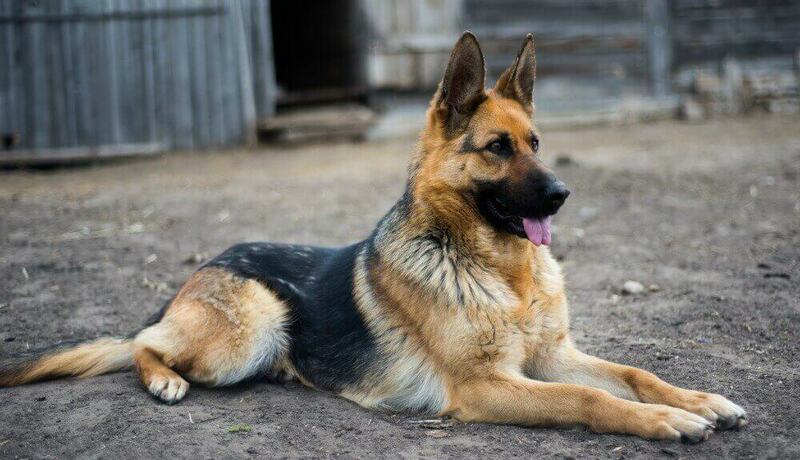 Bicolor shepherds are not seen in West German show lines but are found in various working lines. 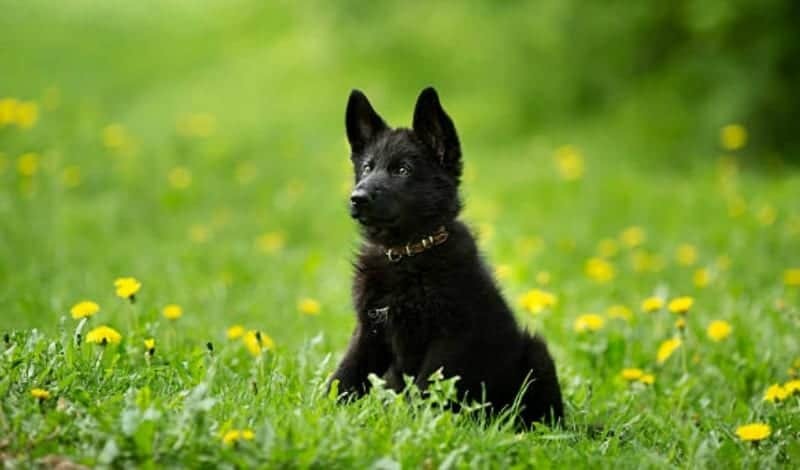 Black German Shepherds can be completely black; they can have a little bit of brown hair on their feet or toes or a white spot on their chest. 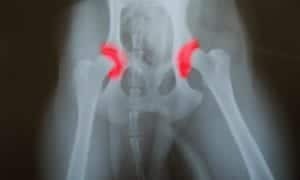 If a black puppy has tan under his tail, he will end up being a bicolor. 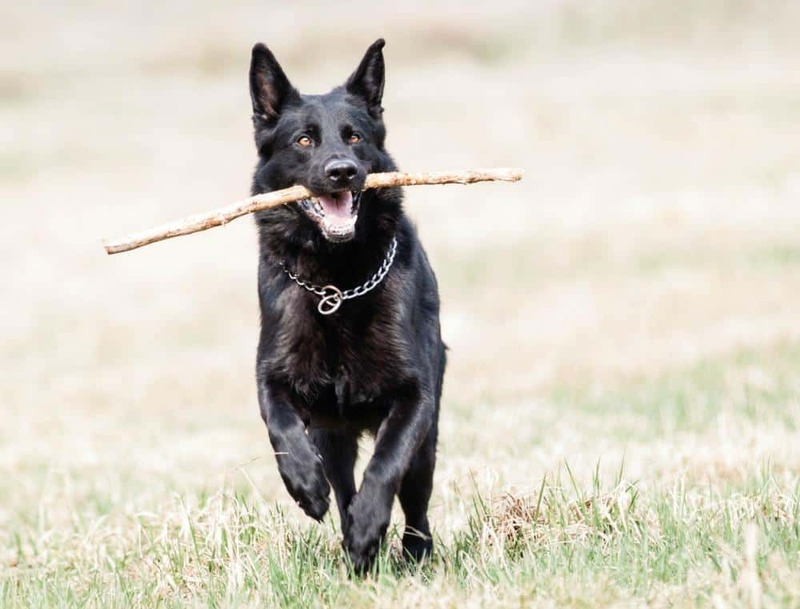 Black German Shepherds are seen less often than black and tan dogs, but black is not “rare” or “special” regardless of what breeders may try to lead you to believe. 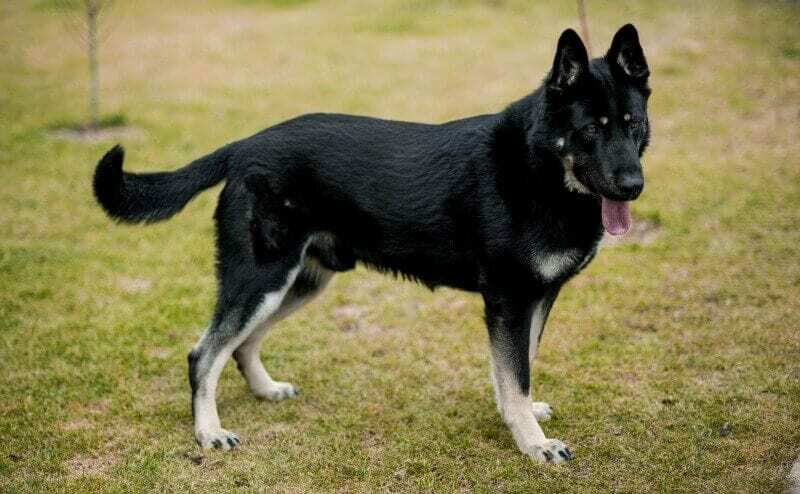 Black is the most recessive of the acceptable German Shepherd Dog colors. To produce a black puppy, both parents must be black themselves or carry the black gene recessively. A black puppy can pop up in a litter unexpectedly because the black gene can be passed on recessively for several generations. 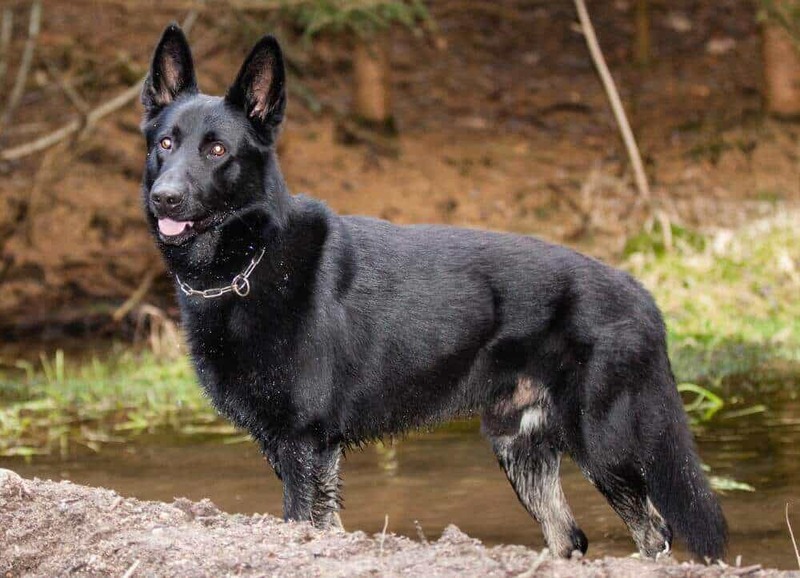 If the other breeding partner does not carry the black gene, there will not be any black puppies, but the recessive gene can still be passed on to the pups in the litter. 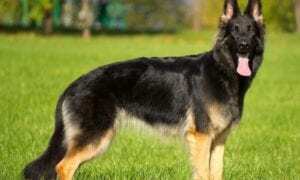 Black German Shepherds are not found in West German show lines. 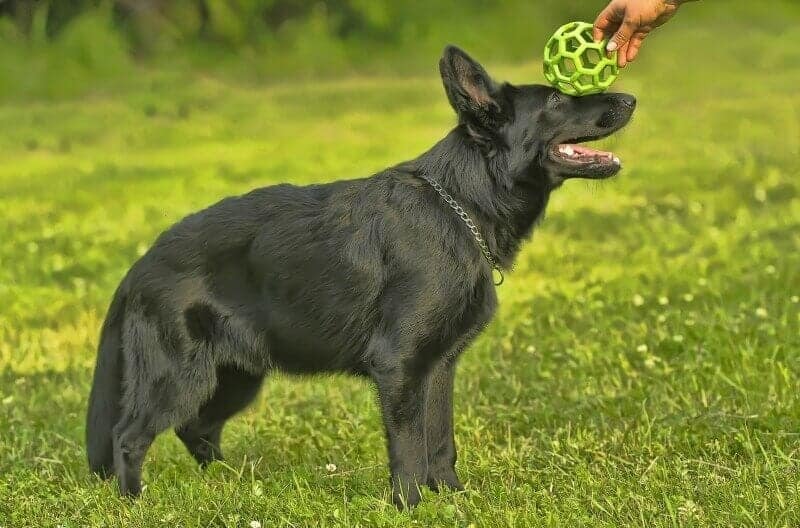 Black shepherds are found in German and European working lines, American show lines and backyard breeders/pet lines. Most everyone has seen a white German Shepherd, but few people realize the controversy white shepherds cause within the breed. 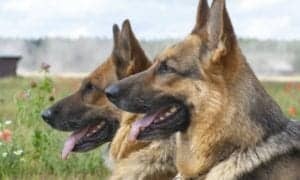 According to the German Shepherd Dog breed standard, white is a disqualifying fault and cannot be bred or shown in conformation. 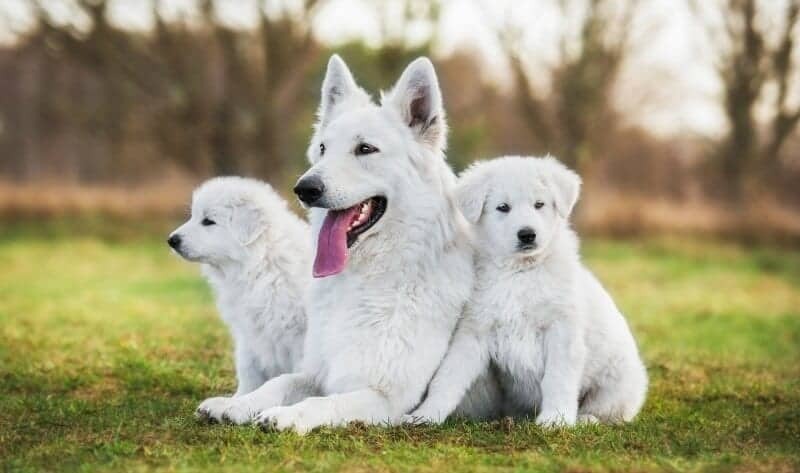 The American Kennel Club (AKC) allows white shepherds to be bred and receive registration papers, but they are disqualified from being shown in conformation. 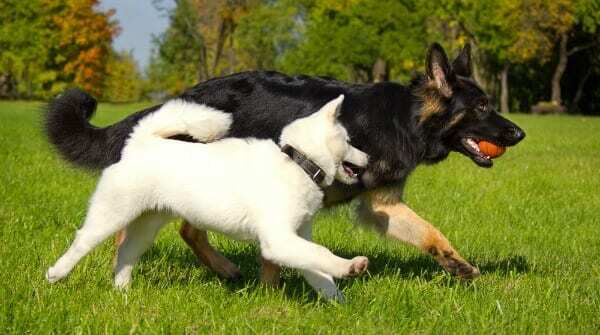 In the GSD breed, the white color is actually an absence of color. It is called a masking gene; the dog’s true genetic color is masked, making the dog appear white in color. 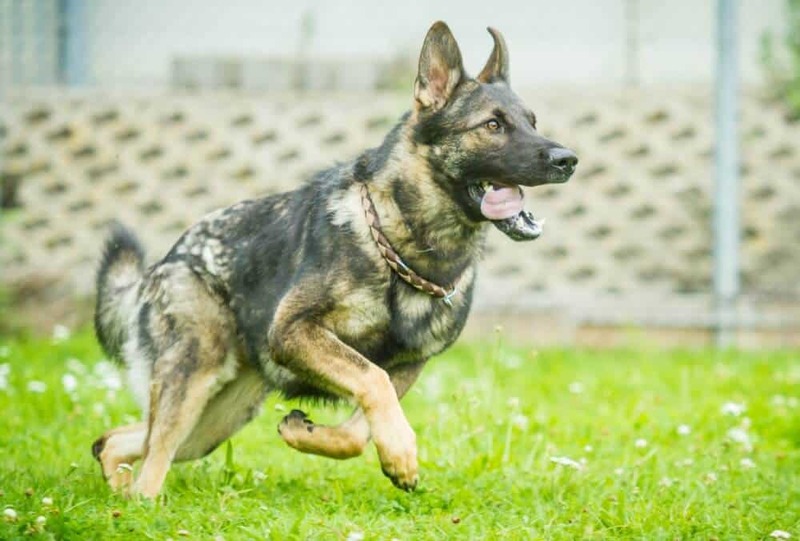 A white GSD has the genetic color of a black and tan, sable, or black but you will not see these colors. 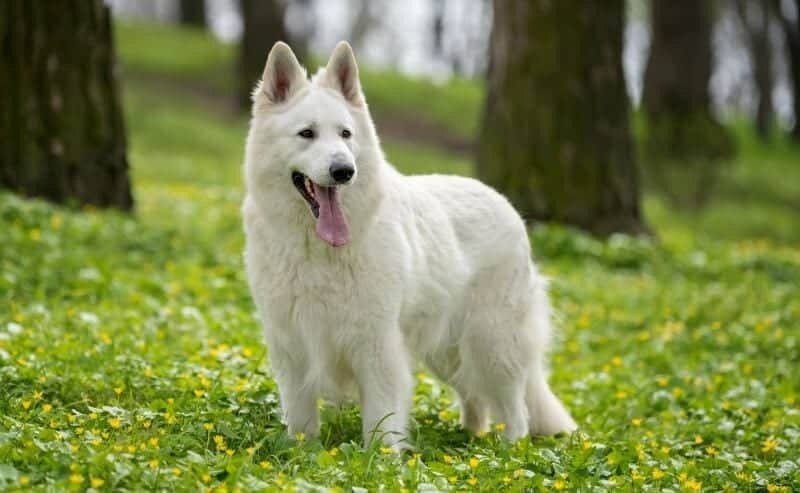 Some breeders and owners responsibly breed and show their white shepherds under various organizations. 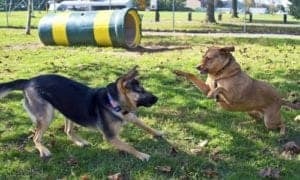 The White German Shepherd Dog Club International (WGSDCII) was created to help promote and maintain the white-coated GSD. The American White Shepherd Association (AWSA) was also founded for the recognition and preservation of the White Shepherd in the United States. The White GSD is called different names in other countries. 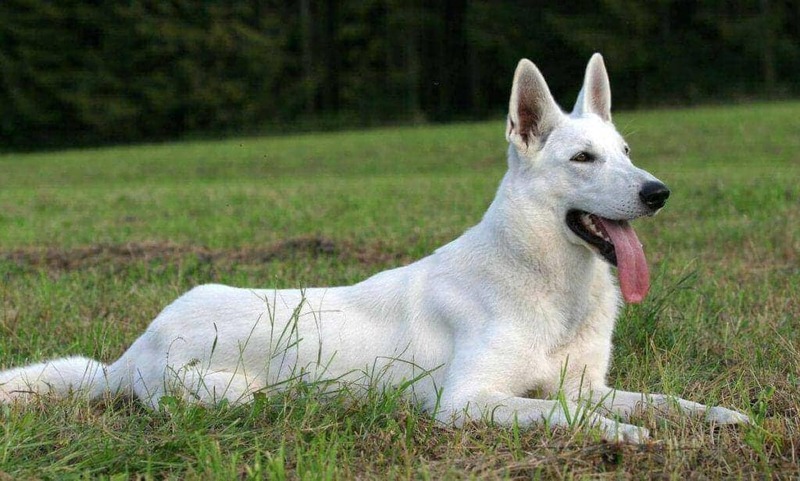 It’s known as the Berger Blanc Swiss dog, White Swiss Shepherd or the American-Canadian White Shepherd. Never choose a German Shepherd based on color alone. While you may have a color preference, please look for more important traits such as health, temperament, working ability, and structure.